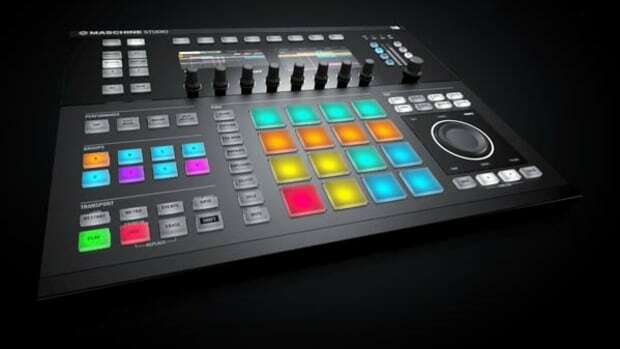 Native Instruments has announced exciting new updates to it's KOMPLETE KONTROL line and S-Series keyboards. The German based company has added an 88 key version to the S-Series and a brand new Komplete Kontrol Version 1.5 software update that will support third party instruments and mappings. Native Instruments has announced exciting new updates to it&apos;s KOMPLETE KONTROL line and S-Series keyboards. 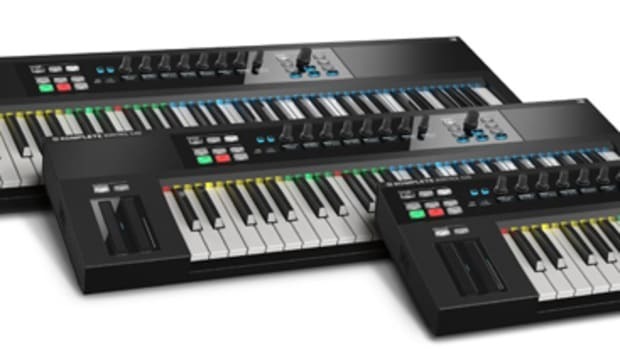 The German based company has added an 88 key version to the S-Series. The S88 is designed with composers, performers and pianists in mind and features 88 fully weighted, hammer-action keys. The keybed is from Fatar and gives the S-88 a true piano like playing experience. The same set of controls and advance features found on other S-Series keyboards is featured on the S88. Some examples of these are Smart Play (a set of melodic features controlling chords) and Light Guide (colored LEDs that indicate key switches, sound types and more). In addition to adding the S88, KOMPLETE KONTROL will now support third party instruments via Version 1.5. This new version allows third party instruments to have the same deep integration to the KOMPLETE KONTROL as Native Instruments products. This is a very exciting new feature for S-Series owners and prospective buyers as it opens up the ability to use products from companies like Arturia, U-He, Output Audio, XILS Lab, Spitfire and more alongside NI staples like Reaktor, Massive and Kontakt. KOMPLETE KONTROL 1.5 features a new "Control Panel" as well. The "Control Panel" is a dedicated interface for customizing instrument parameter mappings to the 8 control knobs on the S-Series keyboard. The control panel is designed to help producers customize presets for specific uses very easily. It&apos;s a great application of the product for those who perform live with the S-Series keyboard. 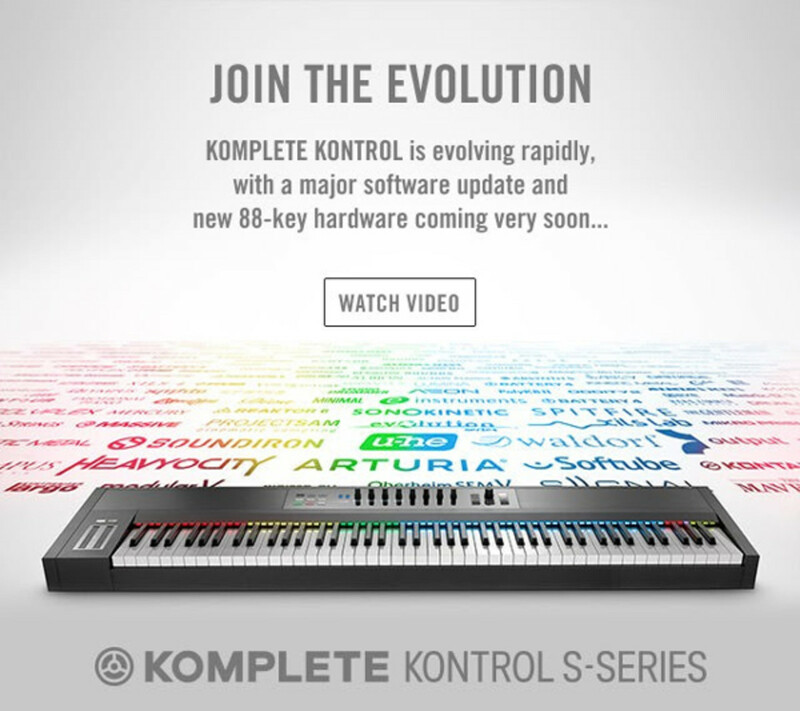 Both the S88 and KOMPLETE KONTROL 1.5 software update will be available on October 27th, 2015. It is priced at $999 / 999 € / £729 / ¥119800 / AU$ 1399 and available via NI and major music retailers worldwide. 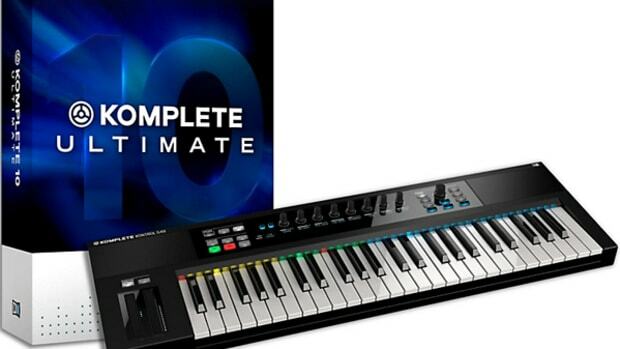 NI has now released their three new MIDI Keyboard controllers that work in conjunction with the catalog of music creation tools in the brand new Komplete 10 Ultimate software package. The NI Komplete Kontrol S-Series keyboards come in 25-key S25, 49-key S49, and 61-key S61 variants and today we'll open the Kontrol S49 mid-sized keyboard and the Komplete 10 Ultimate software on video to show you everything that's included in the package. Native Instruments has just released a quick teaser video for what looks to be like a new Keyboard controller for music makers to control all the cool sounds in the KOMPLETE production library. In the teaser video, you can clearly see LED screens that show current selections and some distinct black and white keys for users to play with. 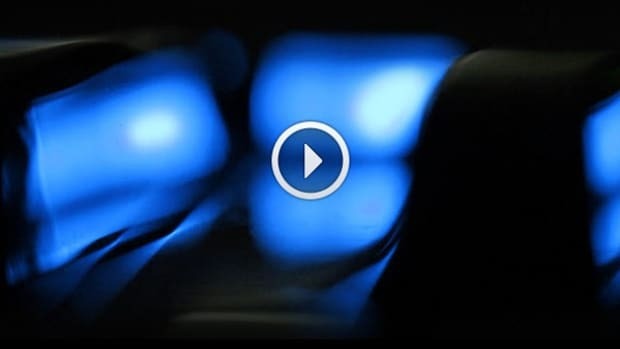 I'm sure we'll know more about this new Keyboard controller soon enough, but check out the teaser video and let us know what you think it is! 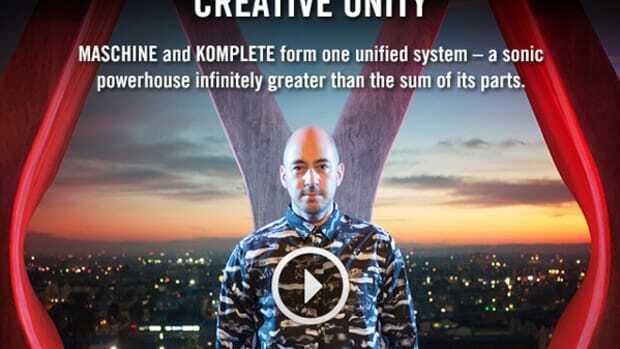 Native Instruments released a free update to its KOMPLETE KONTROL software. KOMPLETE KONTROL Version 1.8.0 contains bug fixes and three main features which include New Smart Play Scales, Enhanced Smart Play chord features, and Stand Alone Transport Control. Check out a rundown of these features and our KOMPLETE Keyboards review for more info.